What the ticking on showbiz this week is the trend setting ways to wish Happy Birthday to your loved ones. Technology has given us an edge over current lifestyle and recently came across a site “HappyBday.to” which helps people which their buddies and relatives on their Birthday by creating a personalized URL. You can personalize the page with comments and themes of your choice which will surprise them. 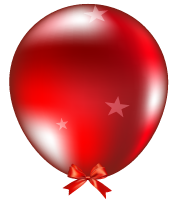 One can fill in fun facts and messages on balloons which are displayed on the page which you created for your loved ones. There are many celebrities who have started using this style of wishing their loved ones. Some celebrities even remarked that this was something new for Birthday wishes and their loved ones likes and loved it. The greetings and cakes are literally old fashioned. With technology into account we are having lot of new stuffs on the line every year for our loved ones Birthday. So what are you waiting for don’t miss out on this element of surprise which could be fun and lovely for your beloved person. Checkout HappyBday.to for more info on the how to create an Birthday URL for your loved ones and list of celebrities who have started using it.